Anything goes, card, LO or 3-D project use the colors Green, Yellow and Orange. 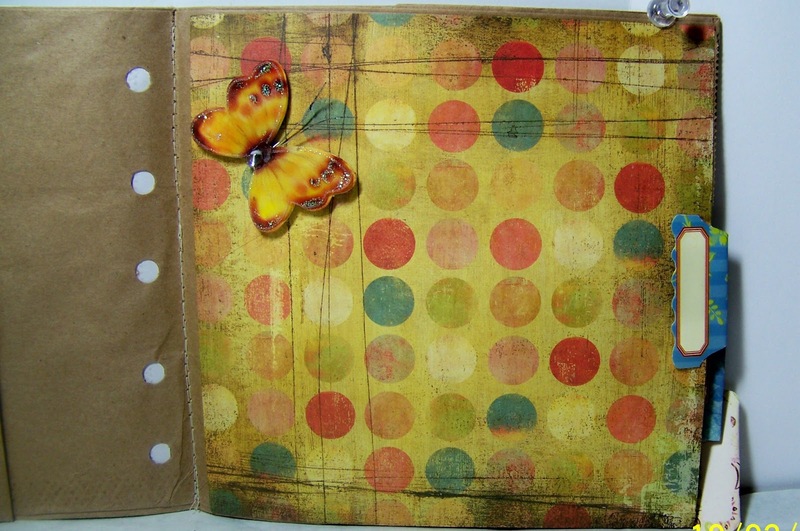 I have a paper bag scrap book sewed in the center that I covered some of the pages. First the 2 page LO with a banner, small tag and heart. 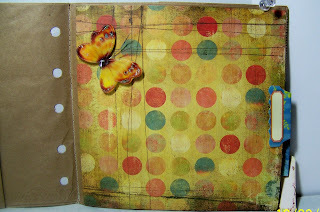 Next a inside page that faces the end of the bag has the green, yellow and orange colors in poke-a-dots with a butterfly cut from card stock using Art Philosophy <bttrfly1> at 1 1/2". Then Inked, added Glossy Accents and Stickles. 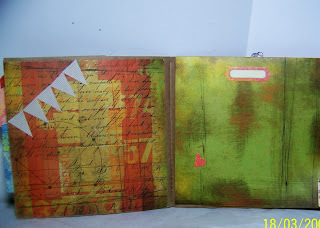 Last the back of the book has block paper with the green, yellow and Orange. 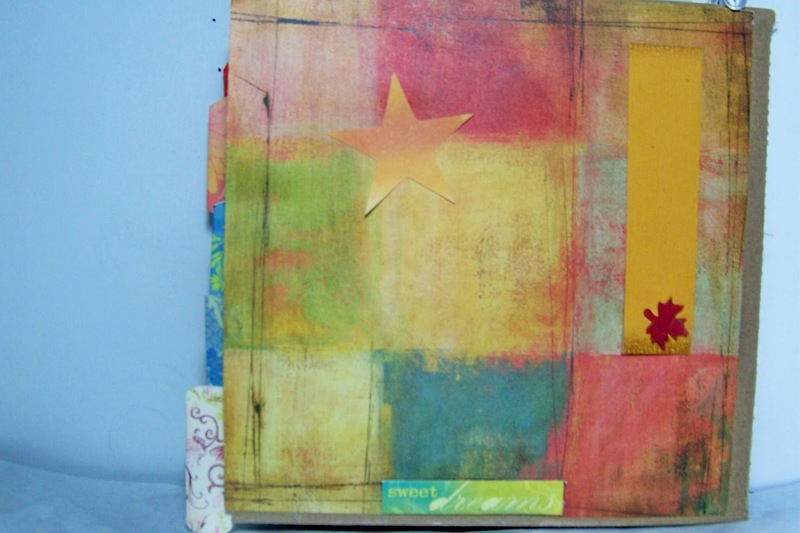 I added a light yellow star cut with Art Philosophy <star4> at 1 1/4". Everything used is from my stash and most is not labeled.